The Fellowship was fortunate enough to obtain a copy of REBORN #1 from Image Comics. Mark Millar writes, Greg Capullo pencils, Jonathan Glapion inks, FCO Plascencia colors, and Nate Piekos of Blambot letters. Bonnie has lived a long, full life. She’s had her share of sadness, like her husband’s murder and her father’s accident. But she’s on the far side of eighty and her first stroke, and she’s starting to feel like she’s just waiting for the next one. She seems surprised by how calmly she takes it when it comes, but that calm is replaced with total shock at what happens afterward. The end of the journey might not always be the end, and this story really brings that idea home. Bonnie is starting on a whole new adventure, and it’s a very different one than she ever imagined. This issue does a very nice job of letting us get to know her, as well as showing how unprepared she is for this. And the art just drips with emotion, showing us the beauty and fear of both youth and age. This book is appealing to me on a bunch of different levels, and I suspect it will appeal to a wide audience because of all of those levels. This is most certainly going to be a good one. 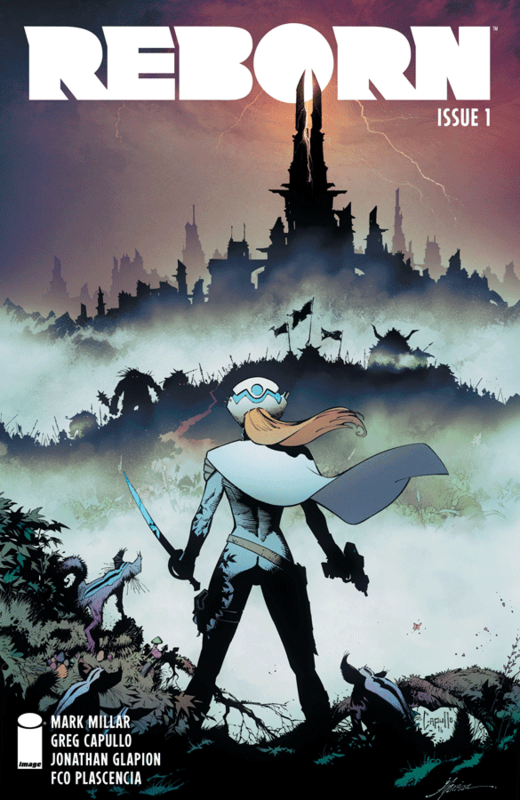 REBORN #1 is available now at your FLCS or at imagecomics.com.